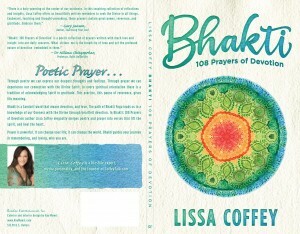 This is a prayer that is featured in my book “Bhakti: 108 Prayers of Devotion” – I think it is appropriate for what a lot of us are feeling right now. It applies to many situations. I keep reminding myself: “God’s got this.” It’s very comforting. I’m glad You’re in charge. Or the way I think they should go. And I feel frustrated, or hurt, or disappointed. But then I remember You’re in charge. I remember that You have a plan. I remember that however things “seem” to be – is probably not how they really are. Trying to make things different. Because I trust that You have it covered. I might forget, and get stressed out. So when I forget, please remind me. There are so many ways you are present in my life. Open my eyes to beauty. Open my heart to joy. Grant me patience, and peace, understanding and acceptance. I can’t control everything. And I really don’t want to. So I’ll just leave it to You. I’ll just let go, and let You do your thing.